It looks like we're about to enter the post-notch era. The curvaceous cut-out at the top of the display used to house the front-facing camera, speaker and sensors that has characterised smartphone design since the introduction of the iPhone X last year could be living on borrowed time. Instead of a notch, the Huawei Nova 4 has a small circular cut-out in the top left hand-corner for the camera lens. The front-firing speakers, proximity sensor, and ambient light sensors are either embedded underneath the glass display, or relocated to another part of the smartphone. The notch is one of the most controversial design decisions on modern smartphones. Samsung has publicly mocked the design a number of times, most recently with the Google Pixel 3 XL, tweeting that "you could land a plane on it". Before that, the South Korean company produced an advert featuring a slew of people in an Apple Store with haircuts resembling the notch design. Whether the circular cut-out receives a warmer welcome remains to be seen. However, it's already clear that the Huawei Nova 4 will not be the only handset with this pinhole-style display design launched in the next few months. 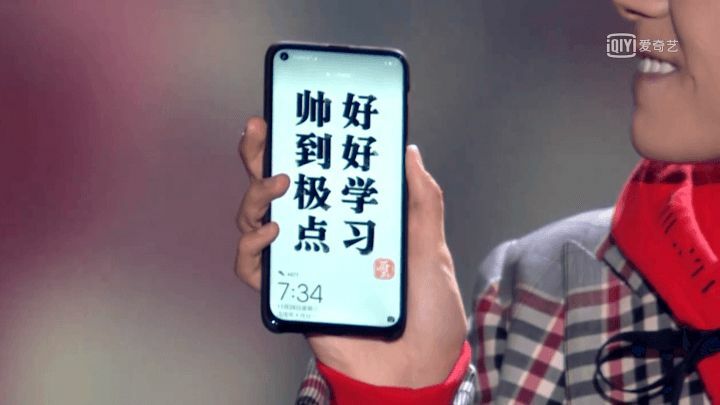 Little else is known about the Huawei Nova 4 aside from its all-new, notchless display design. Huawei kept the handset in a case during its fleeting cameo in China (the full televised appearance is here, if you're interested), so we're still clueless about what the rest of the smartphone looks like. However, rumours suggest the device will sport the same vertically-aligned triple camera set-up seen on the Huawei P20 Pro earlier this year. The three cameras on the back of the handset will purportedly offer wide-angle images, artificial bokeh-style blur to the background of portrait shots of your family, friends and pets, as well as three-times optical zoom and improved low-light performance. Huawei isn't the only company desperately trying to eradicate the notch. Rival manufacturer Nubia has created a truly edge-to-edge display by ditching the troublesome selfie camera, speakers and sensors from the front of the handset altogether.